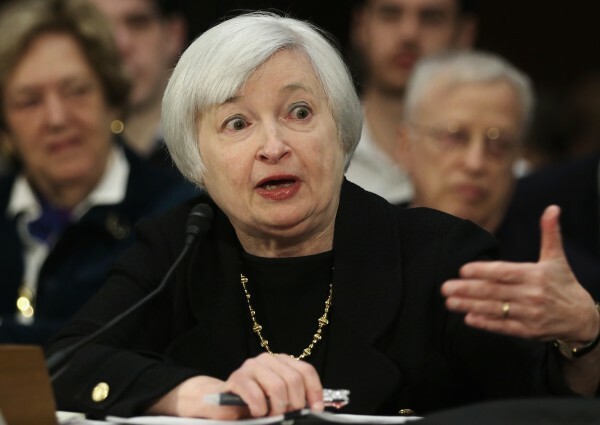 Federal Reserve Chair Janet Yellen said on Wednesday that the US labour market will reach “full employment” in two to three years, and that interest rates are likely to remain unchanged for some time. Her comments fuelled a surge in major stocks on Wall Street on Wednesday; but they scaled back slightly early on Thursday. “Thus far in the recovery and to this day, there is little question that the economy has remained far from maximum employment,” she told the Economic Club of New York. Yellen defended Federal Reserve policy and said that despite the tapering of the stimulus programme, interest rates will not budge any time soon. “Interest rates will likely stay at current levels for a considerable time after asset purchase program ends,” she said. When asked about the Fed’s policies regarding inflation, Yellen said that their goal is to see inflation rising by 2 per cent a year. Currently, it is rising at about 1 per cent. But she warned of prices rising much too slowly, which in turn would cause deflation. Low inflation – or deflation – can postpone growth as consumers wait for bargain prices for goods and services. This would be a severe blow for an economy seeking to pull out of recession. “As the recovery proceeds, it is obvious we will need to (at some point) tighten monetary policy to avoid overshooting our target. Overshooting that goal, we have learned in past episodes and past recoveries, can be very costly to reverse,” she said. Yellen emphasised that the Fed must be equipped to respond to the significant unexpected twist and turns the economy may make. Markets were upbeat on Yellen’s comments on Wednesday. Capping the third day of gains – compensating for last week’s drop in the wake of the hi-tech sell off – the Dow Jones soared 162 points, while the S&P 500 and Nasdaq both rose by over 1 per cent at Wednesday’s closing bell. But the market appeared to scale back slightly in Thursday opening: The Dow Jones retreated 0.15 per cent to 16,400 and the S&P 500 retracted slightly at 0.08 per cent, opening largely flat. The Nasdaq dropped 0.33 per cent to 4,072.668. The drops came amid disappointing figures from tech giants Google and IBM, which also affected Asian and European markets. On Thursday, it was a mixed bag for Asian markets – Japan’s Nikkei remained flat after a 3-per-cent rise earlier on Yellen’s remarks. In South Korea, the Kospi also closed largely flat at 1,992.05. Hong Kong’s Hang Seng rose 0.3 per cent to 22,760.24 while the Shanghai Composite dropped 0.3 per cent. why is it still news?